One of the biggest roading projects in Auckland – costing up to $1.85 billion – is not a motorway, but an arterial road, a board of inquiry heard this morning. 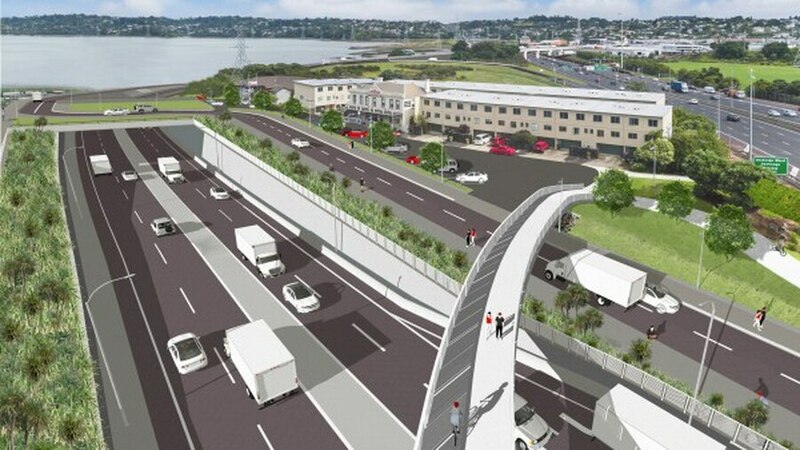 Public hearings have started into the east-west link, a four-lane road connecting State Highway 1 at Sylvia Park to State Highway 20 at Onehunga, which is costed at between $1.25b and $1.85b. In an opening statement for the New Zealand Transport Agency, Patrick Mulligan said the project presented once-in-a-lifetime benefits to the environment and community. The transport improvements were important, Mulligan said, but it would also transform the landscape and urban design, including community aspirations for Onehunga Wharf. “Evertyone said we are building a motorway and that’s not the case. It’s an arterial road. The board of inquiry, chaired by retired High Court Judge Dr John Priestley, is set to run until August 25. The board will release a draft decision on October 9. Following comments from submitters on minor or technical matters, the board is due to make a final decision on November 22. Construction is expected to begin late next year and be completed by 2025.